There are countless tattoo artists here in Southern California, many of which have an insane amount of talent! Even though I look at tattoos for a living, seeing the pieces that these 10 artists are able to layout on skin literally blows my mind. All tattoo artists have their specialty, whether their work is realistic, geometric, traditional, hand-poked, biomech, or all of the above, these talented tattooists are guaranteed to create a jaw-dropping piece every time. If you live in Socal, are planning on coming out here to get tattooed, or want one while on vacation, here are just a few of sunny Southern California’s best tattoo artists! 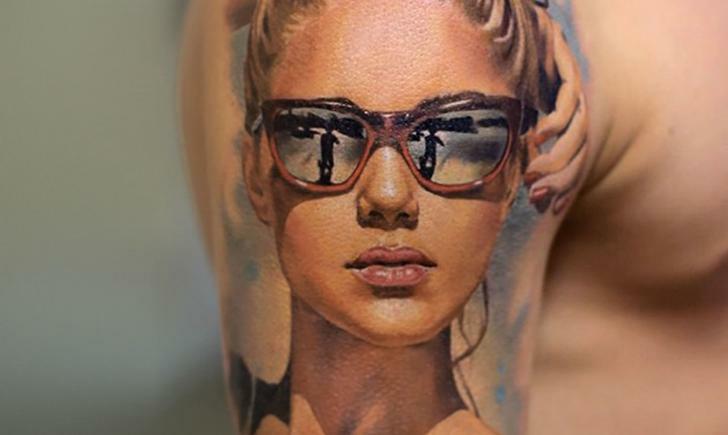 If you’re looking to get insanely detailed, hyper-realistic color tattoos, then Phil Garcia is your guy. Based in Port Hueneme, CA, this legendary tattooist specializes in realistic roses but can knock out portraits, animals, skulls and probably just about anything you throw his way. Tattoo collectors, if he’s not already, this artist definitely needs to be on your list to get work done by. His tattoos are not only recognizable but being able to wear his art is a serious honor. 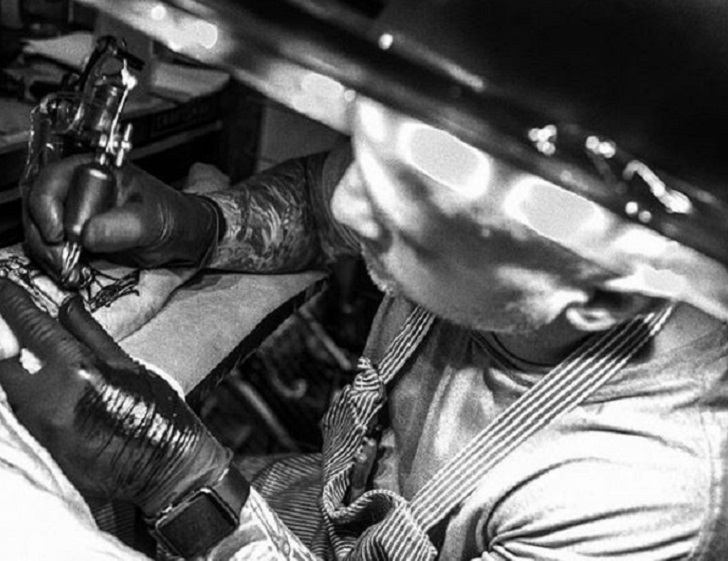 Who wouldn’t want to wear a piece from this talented tattooist? Known as the go-to artist for colored portraits, Nikko Hurtado has made a revolutionary mark in tattoo history. Over the years of his vast influence and success in the tattoo industry, he was able to open up his very own shop, Black Anchor Collective in Hesperia, CA. This shop is also home to other highly talented artists such as Ben Ocha, Carlos Rojas, Jamie Schene, Mat Hurtado, and Aric Taylor (all specializing in realism). If you’re looking to get a portrait tattoo, there is no doubt that Nikko is the man to get the job done. If blackwork, geometric and mandala tattoos are more fitting to your style, this is the artist for you. Owner of Sutra Tattoo in Los Angeles, CA, Corey Divine is able to lay out some seriously clean and symmetrical pieces. One thing that makes Divine’s tattoos unique is that he likes to use dotwork to outline and color a handful of his pieces. There is no denying that Corey Divine’s work is impressive and pleasing to the eye! This lovely lady tattooer is up next on the list! Hailing all the way from Sweden and making her way to DTLA, Miryam Lumpini, a.k.a The Witchdoctor, has definitely given herself a name and place here in the states. Her artwork has a unique cartoonish style, one that is easily recognizable. 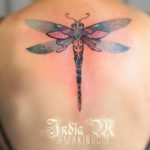 With an excellent combination of saturated, muted and vibrant colors, this tattooist makes some seriously stunning art! Tati Compton is a hand poke tattooist in the Los Angeles area that I can say is truly one of my favorites on this list, she is a huge inspiration to me being that I, too, aspire to become a handpoke artist! For those who aren’t necessarily sure what hand poke tattoos are, it is the ancient, non-electric form of tattooing, and its been making a serious comeback. It is considered to be a less painful (depending on the area and duration of the tattoo) and less invasive to the skin, making the healing process much easier. Being that these tattoos require a longer period of time to do, bigger pieces may have to be carried out in multiple sessions. (I have a few handpoke tattoos myself and I can vouch for all of this!) Tati’s work is absolutely stunning and carries a delicate and simplistic feel to it. For anyone who is interested in getting a hand poked tattoo, this lady tattooer is perfect for you! Being able to create both realistic and bioorganic tattoos in color or black and gray, Roman Abrego can do it all. On top of being a full-time artist, he is also the proud owner of not one, but two shops in Socal! Artistic Element in Yucaipa, CA and Artistic Element 2 in Los Angeles, CA. Talk about a successful career! Roman’s attention to detail in his work really shows in every one of his pieces. Whether you want a perfect portrait, some seriously wicked bioorganic pieces, or even a combination of both, Roman is able to knock these tattoos out of the park! If color realism isn’t your thing, Carlos Torres can help take care of whatever you need. The contrast in his black and gray work is outstanding, it’s unbelievable just how realistic his work is! Unlike most artists, Torres loves to create his own pieces by photographing his reference material for his tattoos, making all of his artwork custom and unique for each client. You can find Carlos (the part owner) at Timeline Gallery Tattoo in San Pedro, CA! Traditional tattoos will always be a classic in the tattoo world, and Dan Smith has them down to a tee. However, Smith is a Jack of all trades, and can create beautiful realistic and neo-traditional tattoos, too! This former “L.A Ink” cast member has moved out of Kat Von D’s shop and opened the doors to his very own parlor, Captured Tattoo in Tustin, CA. Getting a piece from this talented tattooer will no doubt make a great addition to your ink collection! Speaking of neo-traditional tattoos, another amazing artist we have out here is Roberto Euán in Ventura, CA. Although he specializes in neo-traditional tattoos, most of his work has a very vibrant, colorful and feminine feel to it. His use of multicolored dotwork helps add a really cool contrast to his artwork. In his tattoos where the dotwork is more concentrated, I want to say it almost looks holographic, but I’m sure there’s a better way to describe the effect it’s giving! Either way, his tattoos are seriously stunning and a total trip to look at! Last, but not least, we have Mike Cole, a.k.a Mechmaster Mike, residing in Alhambra, CA! As you can tell, Mike makes some seriously rad biomech/geometric tattoos. He also happens to be Roman Abrego’s old mentor (if the research I did was correct), which definitely makes sense as to why Roman is amazing at creating bioorganic/biomech tattoos, too. Mike’s pieces are definitely one of a kind. It takes a lot of creativity and skill to be able to create artwork like this! Out of all the artists on this list, who will you be getting tattooed by?